Former Chicago Bulls and NBA star Michael Jordan said Monday he "can no longer stay silent" about the shooting deaths of black Americans at the hands of police officers, as well as the recent "cowardly and hateful" targeting of law enforcement. 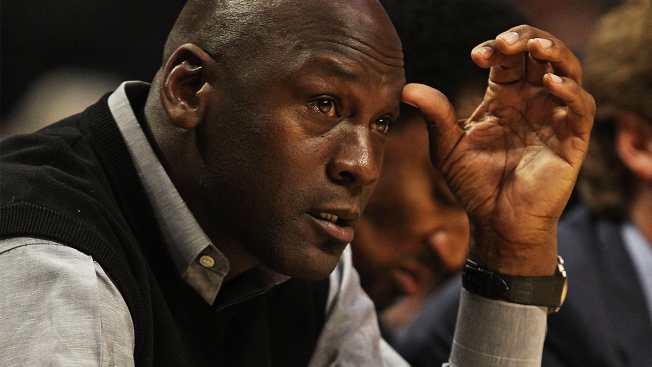 In an op-ed for sports and culture website The Undefeated, Jordan announced two major contributions to organizations he believes can make a positive change. He used the ESPN-owned website to reveal his donation of $1 million each to the NAAPC's Legal Defense Fund and the International Association of Chiefs of Police's Institute for Community-Police Relations. "Although I know these contributions alone are not enough to solve the problem, I hope the resources will help both organizations make a positive difference," Jordan wrote. The op-ed penned by the celebrity athlete and business mogul was paired with an article likening his actions to those of Jim Brown, Muhammad Ali and Kareem Abdul-Jabbar, all vocal advocates for the black community. Jordan's comments and financial contributions come on the heels of several spates of violence throughout the country involving black men shot by police, and the targeted killing of law enforcement officers. In a blog post on ESPN's website, public editor Jim Brady described The Undefeated as a "long-awaited sports and culture site for African-Americans -- helmed by former Washington Post managing editor Kevin Merida."